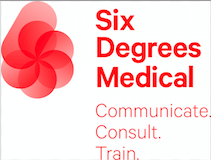 InterComm International is an independent medical communications agency based in Cambridge, UK, with over 18 years’ experience partnering with global clients across the full spectrum of healthcare including pharmaceutical, OTC and devices. Our highly talented team of account managers and medical writers have extensive industry expertise in developing compelling medical or commercial communications from scientific data. We apply our experience to finding the best communication solutions to meet your needs. From publications to advisory boards, scientific brochures to iPad applications, we are always keen to find innovative ways to exceed expectations and deliver added value.